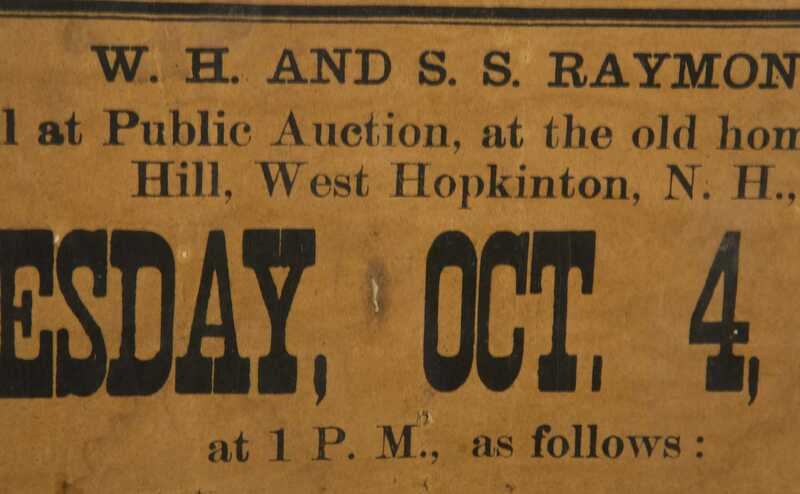 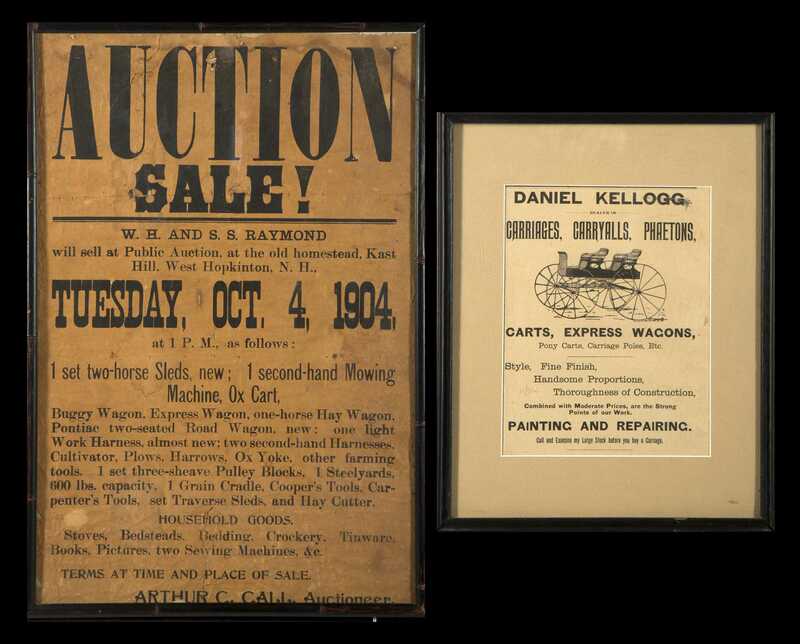 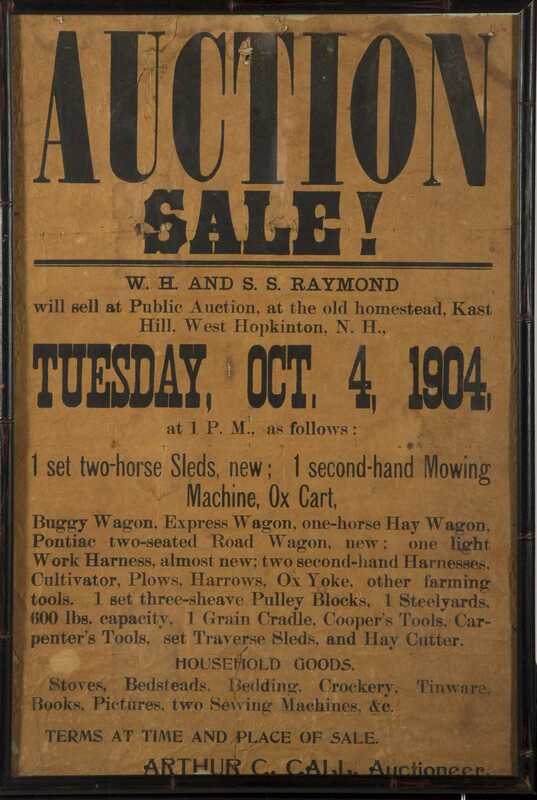 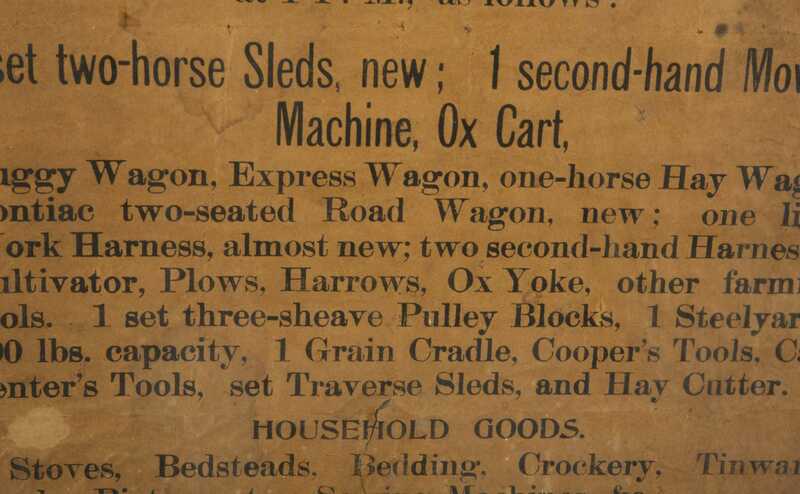 Two Printed Broadsides- Auction and Carriages, A) Daniel Kellogg painting and repairing of all forms of carriages, wagons etc. 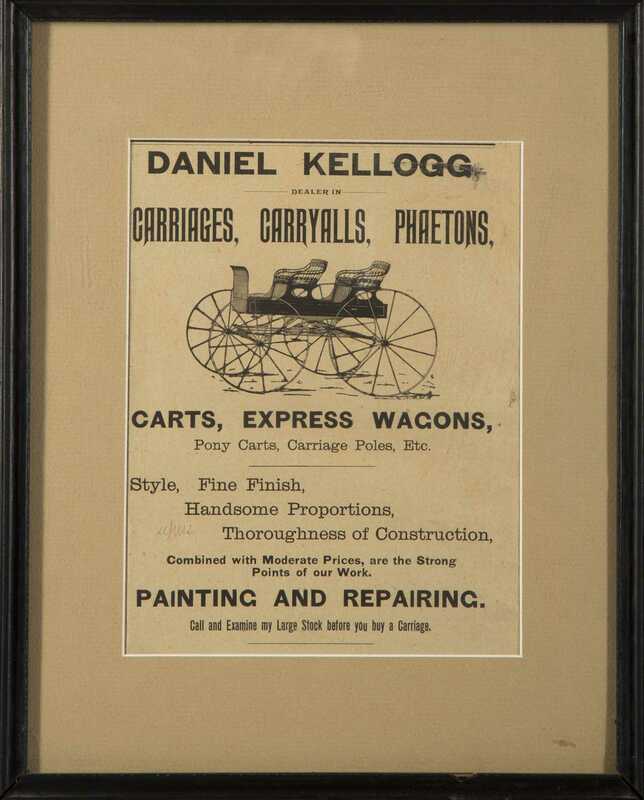 Framed and matted underglass, 14 1/2" x 12". 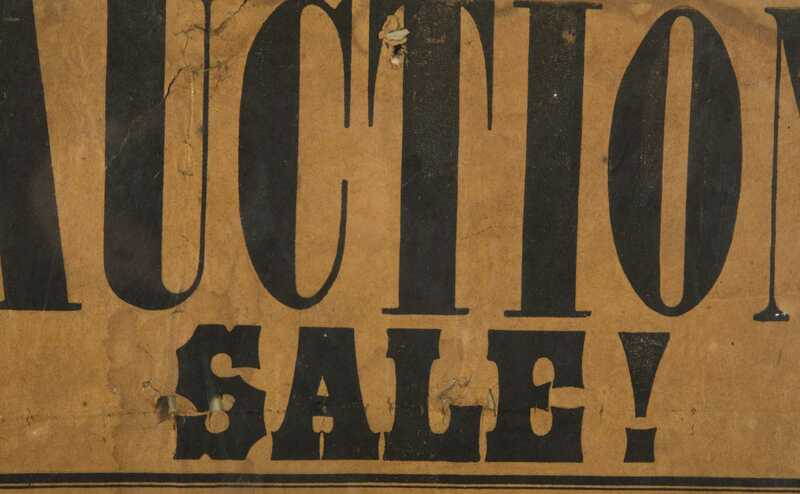 B) 1904 Auction broadside- West Hopkinton NH, holes and losses, 20 1/2" tall x 13 3/4".